She won plenty of fans during her recent Australian promotional visit, even though she was slightly under the weather during her stay down under. Under the weather or not, the visit did the trick, because Rebecca Ferguson’s debut single ‘Nothing’s Real But Love’ and her album ‘Heaven’ continue to climb the charts. 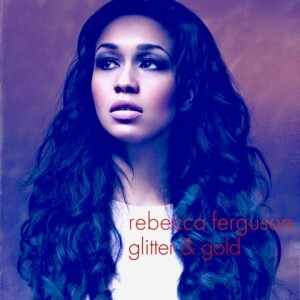 Over in the UK, meantime, her label there is pushing on swiftly with the RF project, unveiling the official video for Rebecca’s third single ‘Glitter & Gold’ less than half an hour ago. The clip’s pretty sweet – young female trying to make her way in a party full of seemingly one-dimensional people, searching for more meaning, more soul. Lucky Rebecca’s there to lend a hand in the vocal department, dishing out the soul in spades. We don’t know why, but the track sounds so much slower than when we first heard it.